When I didn't get any books for Christmas (or I finished them) I'd check out my aunt's paperback collection of mysteries. There was some overlap with the authors my mother collected, but not a lot. I discovered new authors. Unfortunately, they were only new to me and I couldn't always find their books in print. That made it difficult to put them on my next gift list. I've always loved a good mystery, even if book's genre wasn't Mystery. 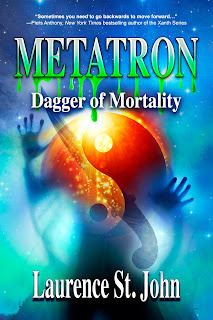 Having been brought up on Agatha Christie, Dorothy Sayers and Nero Wolfe, I wanted all the authors I read to play fair in the tradition of a Whodunit, whether it was a detective novel or science fiction adventure. I also want to like at least one of the protagonists. After all, I don't want to spend a few hours to a few days hanging out with someone I can't stand, or at least understand. That pretty much sums up my writing aims: playing fair with the readers and having characters they'll want to spend time with... especially at Christmas. 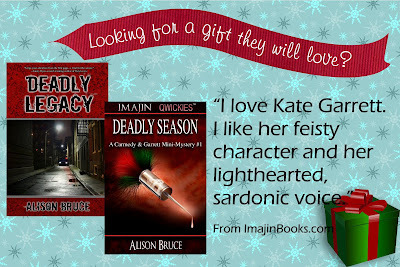 DEADLY LEGACY "a fast-reading, fun whodunnit"
DEADLY SEASON "... a great mixture of humor, clever quips and mystery." Check out http://www.imajinbooks.com for all the sale books.